Wee little striped thingys. If common names enter into even more haphazard territory, this would be the most befitting name for Pseudolaguvia shawi, one of the many miniscule catfishes hidden away deep in India. 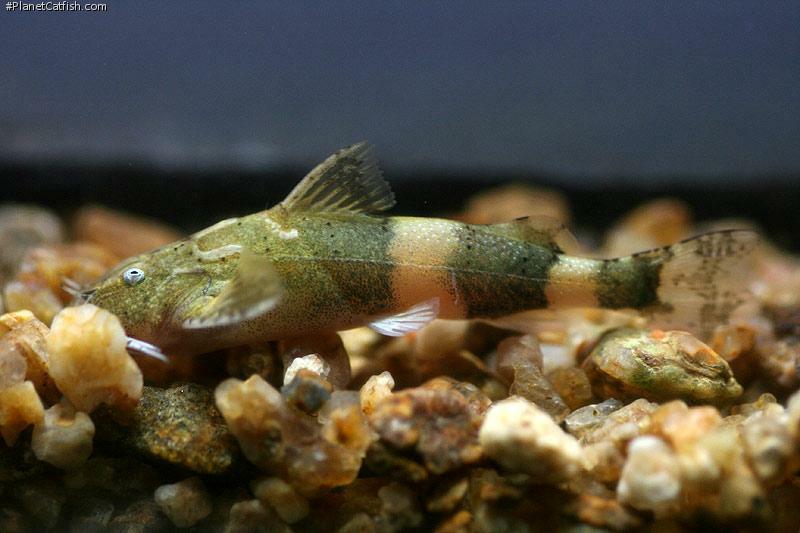 Pseudolaguvia, are small catfish inhabiting hill streams and large rivers of India,Bangladesh,Nepal,Bhutan and Myanmar. In India, the genus was thought to be restricted to the north/north east regions until 2011, when P.austrina was described from Kerala. With the recent discoveries of Olyra and Amblyceps from south India, I wonder if there are many more of these little gems hidden away in some obscure stream down south. While I have been fortunate enough to collect both south Indian species (P.austrina and P.lapillicola), I am yet to encounter their north Indian congeners in the wild. Hopefully, I encounter them soon so I can write another article to help reveal more about fascinating fish such as these. 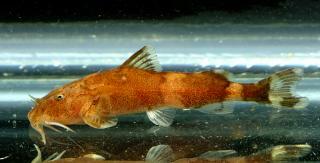 But I digress, coming back to P.shawi, I first encountered this species in January 2009 as “Bee Catfish”. After a long flight from Calcutta, the 8 specimens arrived fairly stressed. The trickiest part with these fish, and most of the other smaller sisorids, is the initial acclimatisation for which I will strongly recommend drip feeding. On release, they did the usual mad dash for cover and scrunched themselves into pieces of wood scattered around in the tank. 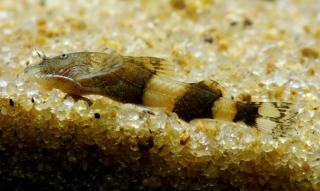 They were kept in a 50 gallon tank with a combination of fine sand and river sand as substrate. Decor was only large pieces of drift wood and pebbles as the flow in the tank was too great for plants to survive. Filtration was via two 800 lph HOB's with a 1200 lph power head fixed right at the top to help with circulation. I managed to maintain a weekly water change schedule (80%) and recommend the same as these fish are extremely sensitive towards poor water quality. The primary struggle I had was with tank temperature as my hometown falls in the tropics. Summers, especially the months of April and May are extremely hot with mercury touching over 40°C. 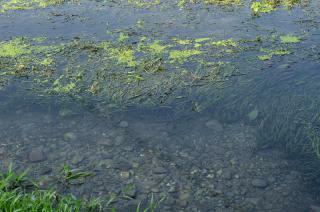 When combined with high humidity, this can be lethal for fragile fish such as these as they tend to wither away slowly. I would say the ideal temperature to keep P.shawi is somewhere between 19-22°C. It took me this batch and a batch of P. ferruginea (undescribed at that point of time) to truly identify the requirements of this genus. By early 2010, multiple colour variants had started coming out. The initial (light) green striped variant was soon accompanied by red, brown and dark green variants as well. With the species distribution extended further eastward to Arunachal Pradesh (in India), I wonder if P.shawi is actually a ‘complex’ with multiple similar looking species. The closest looking congener is P.foveolata and this species can be differentiated from P.shawi by possessing a longer adipose fin and a much smaller thoracic adhesive apparatus. Since I am fairly paranoid around sisorid catfish, I didn’t even try feeding processed food. All the hill stream catfish I kept were fed only with live feed (blood worms,tubifex) and FBS occasionally. I am pretty sure these fish can be weaned off live feed eventually but my paranoia and high temperatures got in the way. As for tankmates, I kept these fish with assorted Pseudolaguvia spp., Hara jerdoni, assorted Glyptothorax spp., Erethistes pussilus, Akysis maculipinnis and Schismatogobius deraniyagalai. This proved to be ideal as these fish are extremely poor at competing for food. Other tankmates I would recommend are fish like Dario spp., Badis spp, smaller cyprinids like Danio rerio, Oreichthys cosuatis, O.crenuchoides etc. In addition to being of a small size, these fish are also extremely peaceful and will not harm the Pseudolaguvia in any way. And now for the looming question, whatever happened to my first batch??? I got them in during the monsoons and lost them during the summer (seven months) but it was during this time that I really got into the wonderful world of Indian catfish. I had the opportunity to keep this species on multiple occasions but temperature proved to be my foe every single time. To sum it all up, a combination of all of the below will be required to keep P.shawi in the long run. Live feed (at least initially). As is fairly obvious by now, the requirements of this species is not drastically different from the requirements of any other hill stream catfish available in the trade now. So why do I obsess about these ‘hill stream midgets’? That question goes unanswered. Why am I recommending this fish to other hobbyists? Oh come on now, they look absolutely gorgeous! My final verdict, definitely a species for the intermediate hobbyist and a must have for any Asian catfish aficionado. The Jorai River, West Bengal. 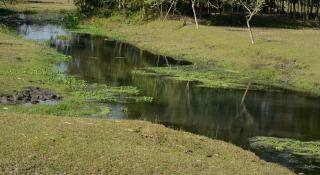 Typical Habitat - Jorai River, West Bengal. Thanks to Andrew Rao and Nilanjan Mukherjee for providing the pictures used in this article. Type Locality Mahanadi R. below Darjeeling, West Bengal, India. Pseudolaguvia shawi has two broad vertical bands on its body. P.shawi differs from P.riberoi in having smooth dorsal and pectoral fins with weak to no serrations.P.shawi differs from P.kapuri in having a shorter adipose fin base and from P.tuberculata in having the adipose fin not reaching (vs. reaching) the base of the dorsal fin ray. General Remarks The original description has a spelling mistake of the type river. The correct name for the river is Mahananda. Mahanadi is a different Indian river. There are 2 colour forms of Pseudolaguvia shawi available in the trade. One with a green base colour (the first picture in this data sheet) and another with a reddish/orange base colour. Distribution Asia: Darjeeling, Siliguri Terai, Sikkim and Arunachal Pradesh in India. Reported from Bangladesh. Furniture Pseudolaguvia shawi has been collected in streams in Arunachal Pradesh at an altitude of 600m. The stream was found to consist of boulders with a sandy / pebbly bottom. 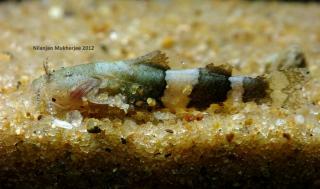 References On A New Record Of The Freshwater Fish, Pseudolaguvia shawi (Hora) From Arunachal Pradesh,India (Teleostomi : Erethistidae), Lakpa Tamang,Shivaji Chaudhry & Dhrupad Choudhury.